TIMS Software, developed by Computers Unlimited, is the leading software system dedicated exclusively to the industrial gas and welding supply industry. A system that not only lets you manage your cylinder assets, TIMS provides the tools to manage every aspect of your business within one rock-solid application suite. From order processing, purchasing & receiving, inventory control for gases, rentals & hardgoods to mobile apps, ecommerce, delivery routing, and business intelligence tools combined with cylinder control, management and cylinder rent, TIMS delivers a full toolbox. Built for the world of industrial distribution of cylinder gases, bulk gases, specialty gases & welding supplies. TIMS provides a premium end-to-end software solution for comprehensive management of your entire operation. Orders done right the first time. With TIMS, process everything from service and sales to rentals and cylinder transactions on a single order. Seamlessly pull in tracking numbers and delivery amounts, eliminating duplicate entries and delivery charge errors. Track assets by balance forward, serial number, barcode or RFID tag and sell gas by cylinder or volume. Track empty, full and shipped quantities by item number. Get maximum cylinder usage and collect more rental revenue all in one single integrated system. Manage bulk tank assets, usage rates, forecasting methods, pricing, and order processing and billing. Like all of TIMS modules, Bulk Gas Manager is completely integrated with the core TIMS System. The world has gone mobile and so has TIMS. Redefine the way you do business with TIMS mobile apps that run on both iOS and Android smartphones and tablets in the field, in the plant, and at the point of delivery. Control Your Inventory. Control Your Profits. Manage it all in one system. 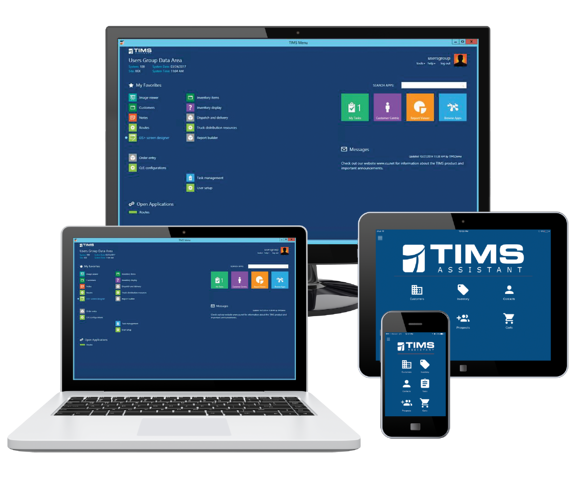 TIMS gives you the control over all of your inventory assets including gases, hardgoods, and rentals. Manage contract pricing options, single or multiple warehouse locations and item level control and transfers. Give your customers access to their accounts. Let them pay invoices, place orders, view signed tickets, and see their order history. Open 24/7. Right Truck. Right Product. Right Time. Give your CSRs the ability to make sure your delivery trucks are headed in the right direction with the right orders on board. With TIMS they can easily choose or change which truck, route, and date to assign an order. 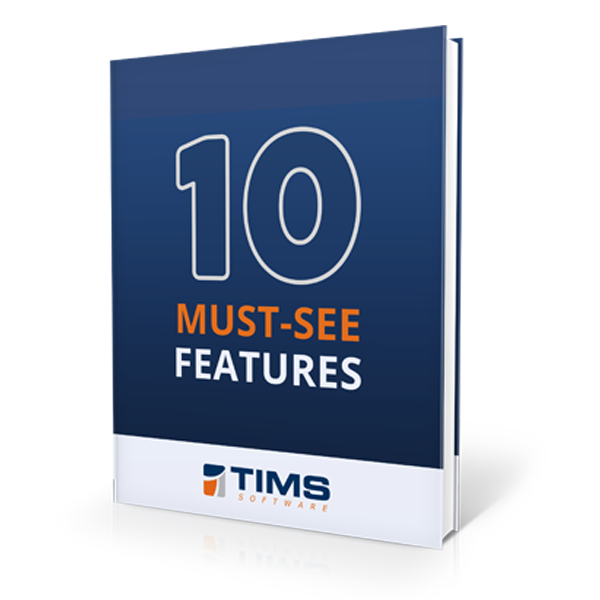 Think of TIMS as the game-changer that puts you ahead of your competition with these capabilities and more, all from one software. After just two months using TIMS Advanced Cylinder Management (ACM)—human errors, as far as cylinder exceptions, are all but eliminated.